Katrina is a Registered Dietitian and Licensed Nutritionist with a strong background in both nutrition and exercise physiology. She uses a weight-inclusive, non-diet approach, focusing on intuitive eating and movement with clients of all ages and sizes in our nourishED program. Her clients include those with eating disorders and disordered eating, as well as adults who want a Health At Every Size (HAES) approach to improving their relationship with food and overall well being. This involves rejecting external dieting and weight loss rules, and instead, tuning in to our own body’s cues for what it needs, whether it’s a certain food or a physical movement. 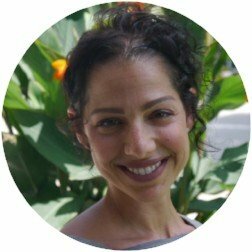 Together, she works with her clients to develop a practice of trusting and respecting their own body, regardless of weight, with kindness, gentle nutrition, and joyful movement. At each session, Katrina strives to provide a non-judgemental and safe space that encourages her clients to be curious as she joins with them on their journey to healing, recovery, and lasting physical and mental health. Katrina also uses these approaches to help athletes reach their performance goals. When she is not working at Nourish, you will find Katrina either at the gym lifting weights or practicing yoga, or cooking up tasty meals for her family of five. Her favorite foods are pizza and fried cauliflower.